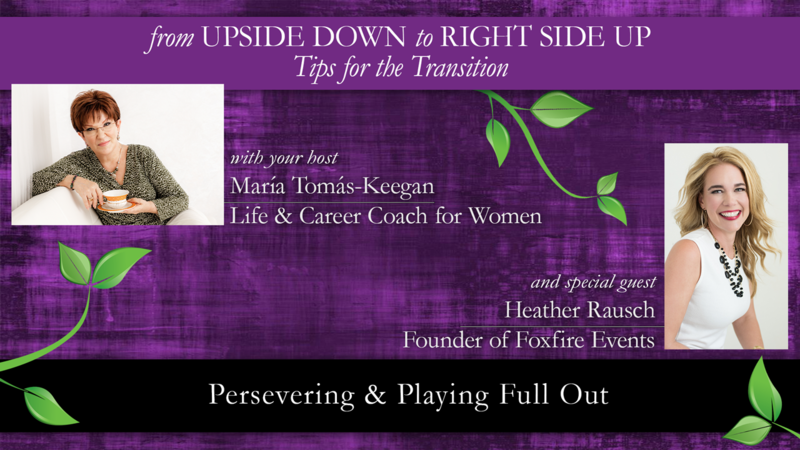 I host a series of conversations with women who share heartfelt and inspiring stories about their own upside-down moments. We talk about their journey, the lessons they’ve learned and how those lessons have profoundly impacted their lives. And they share them with us so they can impact the lives of others. 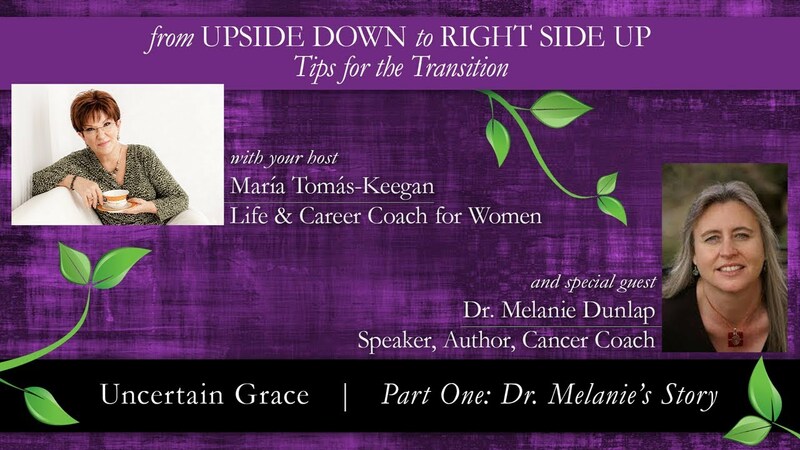 These videos are intended to be a resource for women who are facing difficult life changes of their own. The stories are meant to resonate and allow our audience to know for sure that they are not alone. I often hear, if she can do it, so can I.
I encourage women to design a new life when a major event has rocked their personal world. It might be a breakup or divorce, loss of a loved one, a layoff, retirement, or caring for aging parents or a spouse. It is likely not their first transition, but the one that becomes the last straw and brings them to a breaking point. These women may want to reach out for help but are reluctant. Hearing from other women who have gone through something similar may be just what they need. Even strong, successful women can get derailed when life happens. As a result of these conversations, along with my inspirational email series and the workshops and programs I facilitate as a speaker and coach, I empower women to shift their perspective. Women are able to put the emotional trauma behind them and create a new foundation from which they regain confidence, self-worth and dignity. From there they can move forward. Finding the right resources to help women take any life event in stride is an important part of recovery. Those resources can help to start the process of healing from the inside out. I am committed to provide women some of those resources and to set a new standard for how women can Thrive for Life. The first lesson to learn: You don’t have to do this hard life stuff alone. Are you a woman with an inspiring story of resilience and perseverance? Would you like to share it to help other women like you? I would be delighted if you would consider being my guest to share your brilliance with our audience. Simply schedule some time with me and we will talk about your story and see how it fits into the show. At that time, I’ll give you more details about the format and the opportunity to share your story more broadly. 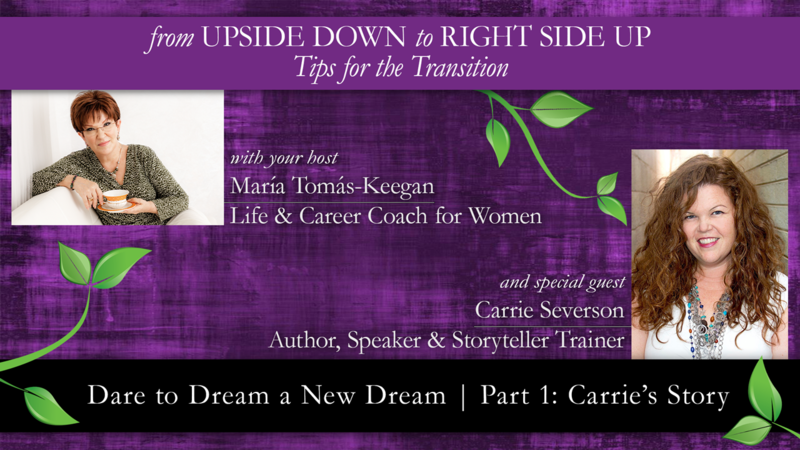 If you would like to watch some of our previous conversations on From Upside Down to Right Side Up: Tips for the Transition, I invite you to click on one of the images scattered on the page to witness the conversations already recorded. Or, click on the “Inspirational Videos & Blog” tab at the top of this page to see more.